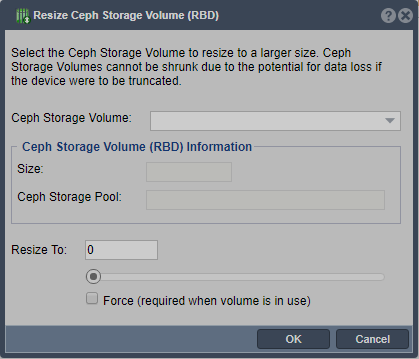 Resizes the Ceph block device to make it larger. Ceph block devices cannot be shrunk. This page was last modified on 20 July 2018, at 16:46.